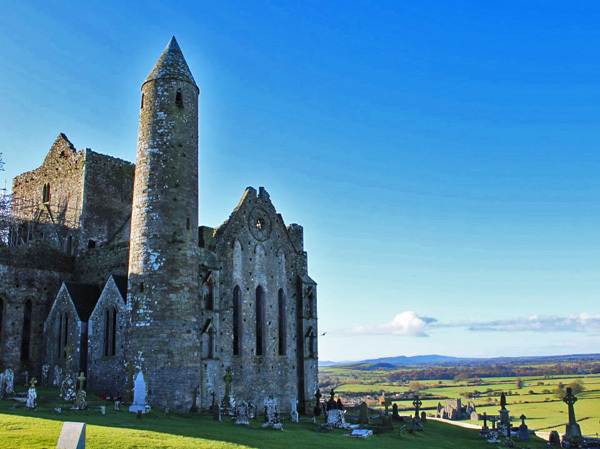 Have you ever heard of County Tipperary? Chances are, you may not have heard of it if it was not for the World War 1 anthem “It’s a long way to Tipperary” OR if you have family that came from this landlocked Irish county originally. Over the last 12 months we travelled to various parts of “Tipp” (it’s not a long, long way from Cork) to take some of the following photos and link to some of the Irish surnames on our list. 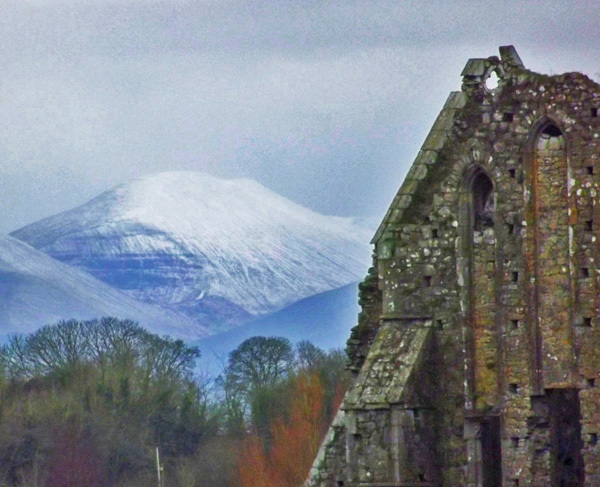 And I guess we will return many times and add to this post with more photos and new information on the lovely County Tipperary. 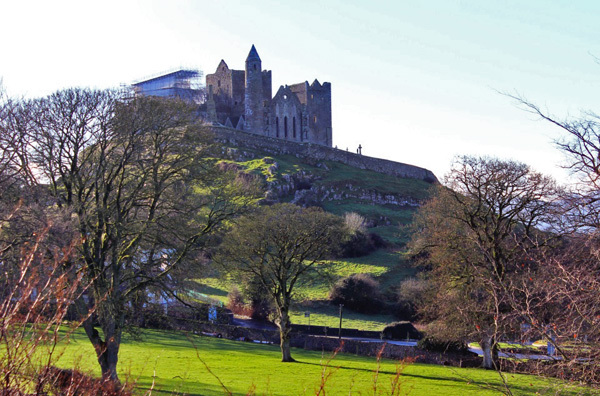 When someone signs up for our weekly Letter from Ireland, we ask them for the Irish surnames in their family and the counties in Ireland their ancestor came from originally. As a result, we now have about 7000 entries on our list. The following names are ones we received from readers whose ancestors came from County Tipperary originally. 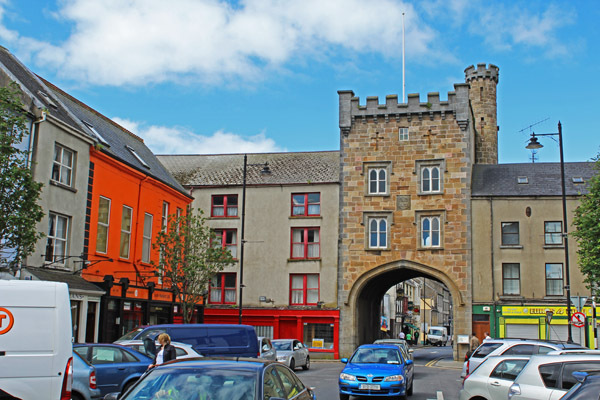 As you look through the names, you will see old Irish Gaelic names, Norman names and later English and Scottish names that settled in this part of the country. You may also notice that some of these surnames are from other counties originally. Is your County Tipperary surname among them? And thats the end of our list of County Tipperary surnames for now. Do feel free to leave a comment or ask a question in the section below. the 3 names that I know of from Nenagh, Tipp are on the list: Nolan, O’Meara and Roughan. Just as they should be Jeanne! 🙂 Mike. My Grandfather, William Delaney VII born January 29, 1843, died July 7, 1926 was a “Blacksmith and Farmer”. He, his wife, Margaret (Connors) and their 10 children lived in Cleakile (Annafield), Thurles also know as Bouladuff, Inch, Thurles, Co. Tipperary. Their local area was referred to as “The Ragg”. This information appears in both the 1901 and 1911 National Archives: Census of Ireland. Great detail you have there John – thank you for sharing! Mike. I’m so excited!!!! 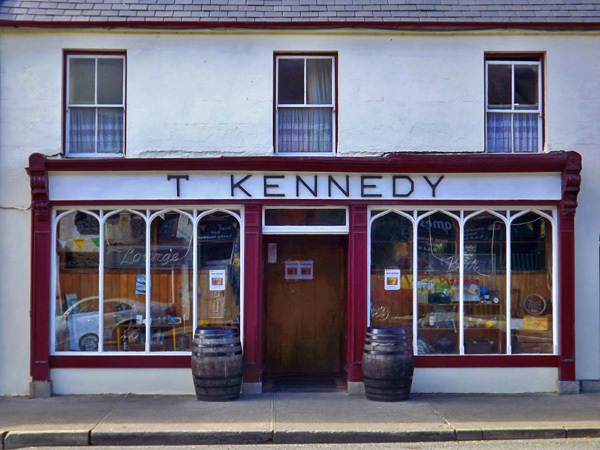 In the pictures of Tipperary there is a store front T. KENNEDY. My great great grandfather was Thomas Kennedy. I read in one of the lists Mike that there are MANY Kennedys in Tipp. I want to think I’m connected somehow. Thank you. Hope you are having a lovely day. I’ll have to research the Aherns and Barrys in Tipperary. In Cork, I was able to research back to my GG grandfather to see if I can find other relatives in Tipperary. Not as prevalent in Tippeary as they are in Limerick and Cork Ann. Mike. The Hogan name from Carrick – on – Suir. 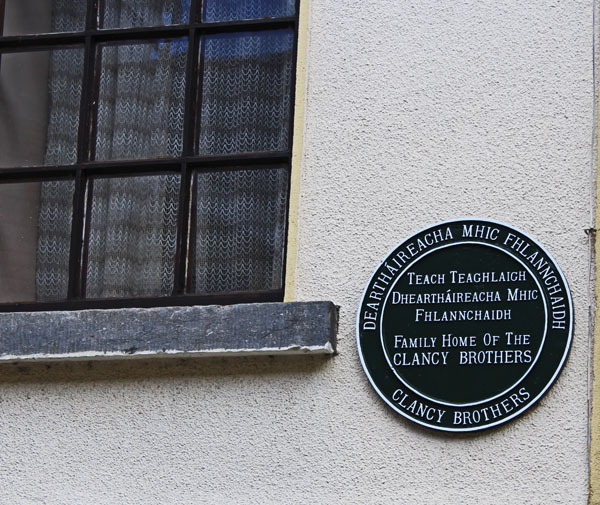 The home of of the Clancy Brothers and my ancestors the Hogans. Indeed John – lots of Hogans across Tipperary and Limerick! Mike. All my people from Tipperary: Hogan, Mullally, Walsh, Cummins, O’Meara, Egan (MacEgan); Roscre area. Nice part of the country Dan – plenty of Hogans around there too! Mike. Thanks, Mike for sharing all of your great info. My grandmother was Kathleen Lonergan from Oola in Tipperary. You’re welcome Kathleen – a lovely part of the world! Mike. Glad to see the Hennessey name. My 2 great grandmother was Sarah Hennessey from Forgestown, Tipperary. However, I did not see her maternal mother’s name of Collier who was also from Tipperary. 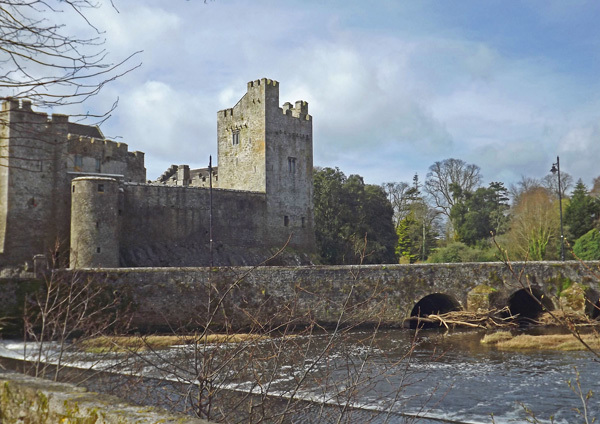 It is said that her mother’s Collier’s were related to the family that founded Collier’s Magazine and they had lived near the Tipperary and Kilkenny boundary. It appears it may have been an Anglo name. And I saw McGrath, which was my 3 great grandmother’s family name, although she was SE Limerick. But lots of McGrath’s in both Tipperary and Limerick. 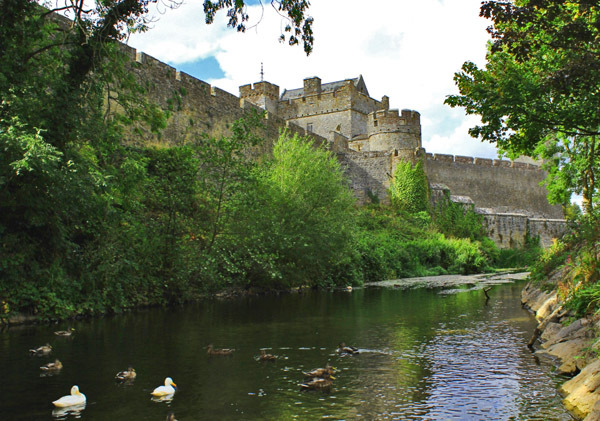 Another Limerick name in the family that also shows up in Tipperary is the surname of my 4 great grandmother, Tracy. Again, as with McGrath, both names are associated with areas on the Tipperary and Limerick boundary. Hi Chuck – thanks for sharing that. Mike. Thanks for sharing John, Mike. John, I have in the past explained NINA to my college American History and World Civ students. College students have a hard accepting both the living conditions and the scope of discrimination the Irish endured when they arrived in large numbers during An Gorta Mor. Enjoying your site very much. My husband & I took our niece to Ireland last year as a graduation present. 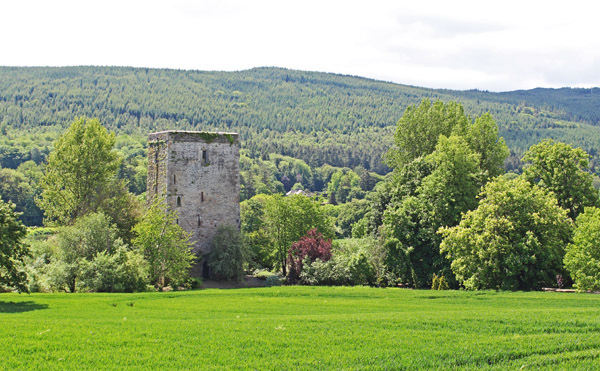 We made a special trip to Tipperary to see the Loughmoe castle (the castle of the Purcells). It was an experience we will never forget! Hi Dawn – great to hear and thanks for letting me know! It is a great feeling to head back to a building associated with your family name, specially when its a castle! Mike. Hi Patricia – Rahilly is normally Kerry/Cork. It would be very rare in Tipperary. Mike. 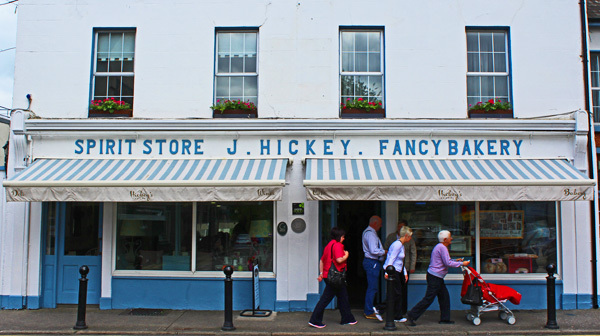 My Granny’s Family were Moloney , butter merchants on Church st Tipp town . Lots of other ‘ family ‘ names on there , but I thought Heffernan was local too ? Hi Julia – yep, Heffernan is typically found between counties Limerick and Tipperary. The names listed here belong to readers of a Letter from Ireland who have forwarded their names and counties of origin. Mike. I am looking for the surname Floyd. I have found baptismal records in Tipperary. But, I have been told family are from Limerick. I’m going to Ireland next week and am looking for relatives. Others are Gaelic Flood family members some of whom assumed the name Floyd. My 2nd great grandparents MURPHY & PERDUE from Tipperary 1840-60’s. 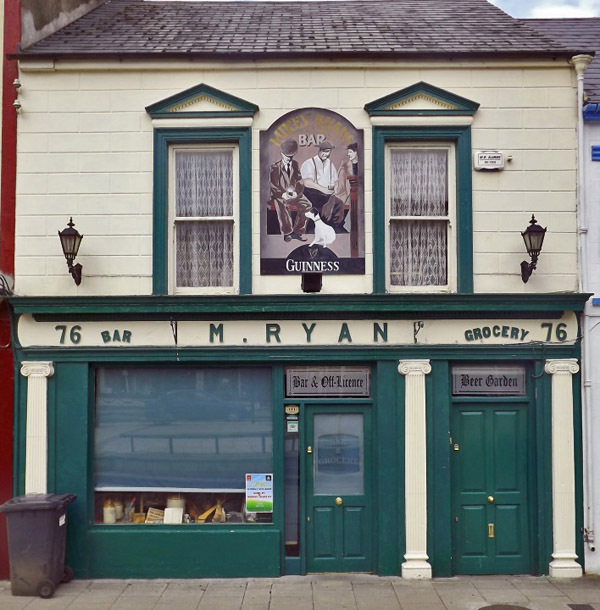 My VAUGHANs from Clare before 1820’s the Limerick. Names added to list Ellen. Mike. My grandfather was Michael Keough born in Ireland came over to Pa was born in 1841. My father was Robert V Keough Sr. I was wondering what county are we from? The Keoughs originated, and if we were any relation to Riley Keough. (Silly question but everyone asks me if i am lol) Thank You xoxox. My Morrisseys from LeicFhinn /Lick Finn/Slieverdagh/Killaloe/Tipp left in 1851 along with a Bodely from Dranghan. Any Left? originally from Tipperary. Would the name McEvoy be of Gaelic origin? Thank you–I love to see your photos and read your stories! Mike thank you for posting these names and where they are from. My grandmother 5 generations back; her name was Elizabeth Kennedy. She married Arthur I Ellwood. I have no dates on them, but it sure was exciting to see one of my family names on here. They had a son, Arthur Elwood and I don’t know why one of the L’s was dropped. He was born in 1725-1750. He was married to Adelaide Hall in 1729-1750. She was from Belfast. It’s strange that they both died in 1750, both so young! I love this website, thank you for helping us find out more about our families. Can you tell me where to look to find more info. about my family? Finally I have found the Shannahan name! Thank you so much. How do I find records in Ireland? I am researching John English, b. 1799, Ireland and his wife, Catherine (Kit) Philips. 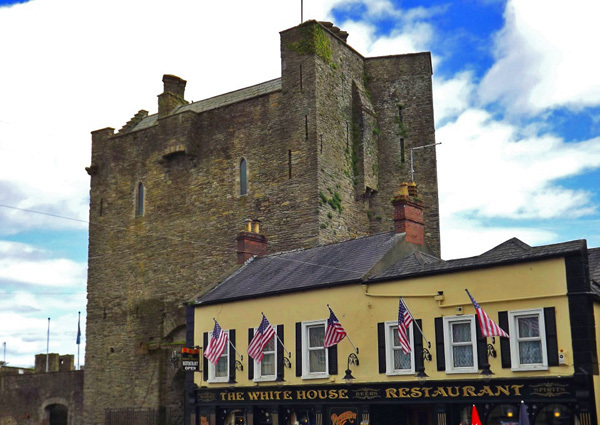 They were married in Newport, Tipperary and their first 5 children were born there. In about 1830 they left Ireland for Ontario, Canada. The 5 children born in Newport were Ellen, 1820, Mary b. 1822, Thomas b. 1823 , Ann b. 1827 and William b. 1829. I believe Catherine Philip’s parents were William Philips and Maria Brien. Great grandmother Margaret Moulton married James Waugh (1800s), came to New York. Margaret lived either in Tipperary or Roscrea. I discovered that the name Moulton is English, and that Waugh is Scottish, but Margaret was born in Ireland and had always considered herself to be Irish. Any record of a Moulton or Waugh from the area. I realize this is a stretch, but if you can tell me anything, great. This is a long shot, and I have very, very little information. I am searching for my dads family. My dads name was John Bowes (Tip)born in Tipperary in 1937/38, and died in Derby UK in 1988. I was told that he left Ireland in his late teens early twenties to join the British Army (not sure if this is true or not). Apparently my dad was the youngest of his siblings. I have no idea whatsoever what his parents or siblings name maybe. I don’t even know where is was born. All I was ever told was that he was from Tipperary. I live in Australia, and will be visiting Ireland in February 2017. I just do not know where to start. Any feedback, push in the right direction would be so very much appreciated. Mike, you said you took photos and linked them to surnames. 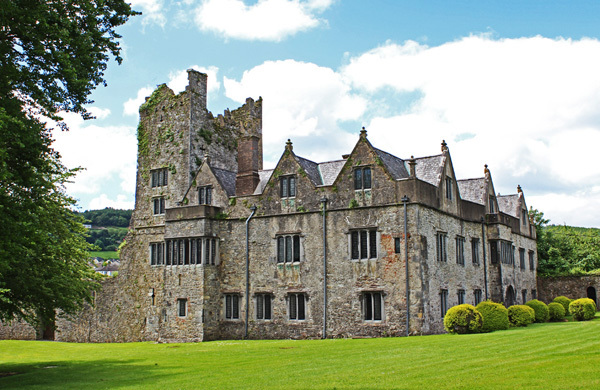 The photo of Poulakerry Tower House has the surnames O’Gorman/O’Dwyer listed. According to family notes handed down, my great great grandparents were Brien O’Gorman and Catherine O’Dwyer from County Tipperary. They would have been born early 1800s based on ages of sons, Michael and John. I cannot find a trace of them. How did you link those names to the photo? I have two family names from Ireland, Hogan from Tipperary and Johnson from ? Do you recognize the Johnson name. Tina, Do check the Irish census records and you’d never know where they would lead you..
My maternal grandfather’s family came from Tipperary near Nenaugh. Our ancestor left Ireland with his family about 1800. His name was Mathew Hogan, born in 1759. I understand that there are three septs of Hogan’s. The males in this one are called Mathew, Martin and Malachi. Those names are still used by our family. I have other Irish relatives from many parts of the country. I know more about them. Mathew came with his family. He may have had a daughter, Mary, and sons, Edward and William. A baby died enroute. His wife died shortly after arrival to the US. His son from a second marriage, Martin, is my second great- grandfather. Wonderful family history and thanks for sharing with us on The letter from Ireland. That’s great and thanks for letting us know. My great great grandfather came from Ireland to the U.S and fought in the Civil War as a confederate. His name was Patrick Kenney. That’s all we know of him. He is buried in Springfield , West Virginia. Thanks for sharing with us on The Letter from Ireland Larry.